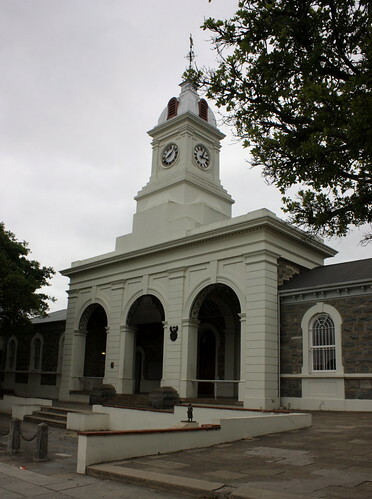 South Africa’s Magistrates Courts are about to undergo a substantial change, reportedly from tomorrow, 15 October 2010. The first big change is that the rules that govern much of how these courts operate are about to change and the changes are fairly substantial. Some of the changes include making provision for service of court papers by email and fax as well as increasing the distance attorneys may be from the court for the purposes of court process delivery before needing to appoint a local correspondent attorney. There are also fairly significant changes being made to court procedure generally which bring the Magistrates Court rules more into line with the High Court rules. It isn’t clear what happens to existing proceedings and whether the old rules will apply to those proceedings. Courts to deal with civil cases. 9th August 2010, the National Woman’s Day. to custody of minor children. at the High Courts and Magistrates Courts. mediation in resolving civil disputes. Of course it is all well and good to introduce these new rules and this court structure but the courts’ administration needs to function properly. I have a few cases pending in the Johannesburg Magistrates Court where we are unable to take the matters further because files can’t be found. What we sorely need is a digital court filing and administration system and there doesn’t seem to be any meaningful effort to achieve this by the Department of Justice. Manual court administration is failing and simply can’t support courts’ current caseloads effectively. That said, these changes are encouraging. I just hope we see more systemic changes soon. I believe there are new developments with regard to helping people who wants to get divorced to get to agreements. I heard there will be a body consisting of people who have experience in pastoral and psychological fields to assist people with disputes to get to an agreement. Can you tell me more about this. Hi Paul, that is very possible. I’m not up to date on this anymore but chat to Roy Bregman at http://Bregmans.co.za or subscribe to his newsletter.